PURCHASE, N.Y. — In an epic rallying cry to get out and do, MTN DEW is teaming up with Team Rubicon, an organization that uses the skills and experiences of military veterans and first responders to serve communities impacted by disasters. To kick off the partnership, the brand announced a $1 million donation to fuel Team Rubicon’s efforts, and has teamed with longtime DEW spokesperson and Team Rubicon supporter Dale Earnhardt Jr. to help rally DEW Nation to participate in the MTN DEW x Team Rubicon mission. 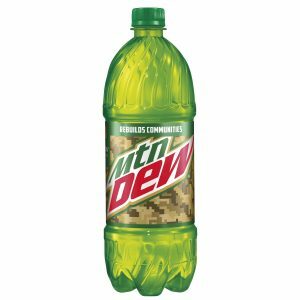 Limited-edition camouflage MTN DEW x Team Rubicon cans and bottles available everywhere MTN DEW is sold. Exclusive Team Rubicon and MTN DEW x Team Rubicon gear available by donating to Team Rubicon or redeeming Dew Nation Reward points from participating products at www.DewNationRewards.com/TeamRubicon. A national TV advertisement – voiced by Earnhardt Jr. – under the brand’s DO THE DEW campaign that shines a light on the Team Rubicon mission and encourages viewers to act. A MTN DEW x Team Rubicon paint out on DEW partner Chase Elliott’s No. 9 Chevrolet during the Clash at Daytona on Feb. 10. “Natural disasters have hit close to home for me – like Hurricane Florence’s impact on the Carolinas. Team Rubicon was there to support and rebuild those affected areas, and I’m proud to team with Mountain Dew to support its mission,” said Earnhardt Jr.
Next week, Earnhardt Jr. will travel with MTN DEW to a Team Rubicon worksite in the Florida Panhandle to work alongside the volunteers as they rebuild a community that was ravaged by Hurricane Michael in 2018. During the promotion running now through March 24, consumers can make a monetary donation to Team Rubicon at the DEW Nation Rewards Team Rubicon store and in return earn exclusive MTN DEW x Team Rubicon rewards and gear, including t-shirts, backpacks, sleeping tents – and for the biggest Team Rubicon supporters, a once-in-a-lifetime race-day experience with Dale Earnhardt Jr.
Consumers can also represent the MTN DEW x Team Rubicon mission by purchasing participating MTN DEW products and redeeming for points at www.DewNationRewards.com/TeamRubicon. During the promotion period, consumers will earn two times the DEW Nation Reward points by purchasing participating products. Points can be used to redeem Team Rubicon hoodies, t-shirts, boonies, tumblers and MTN DEW x Team Rubicon decals.